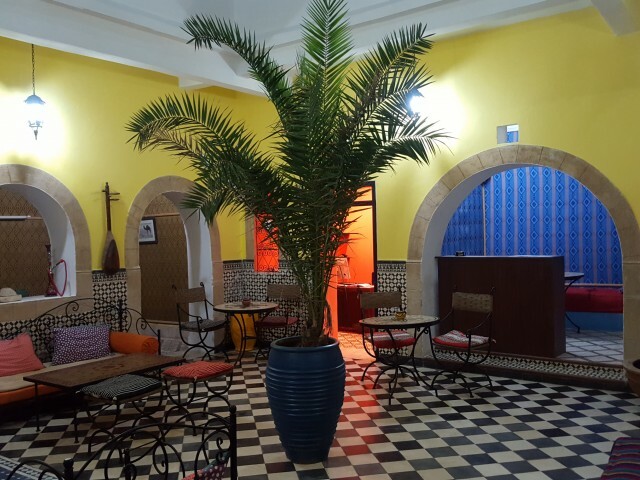 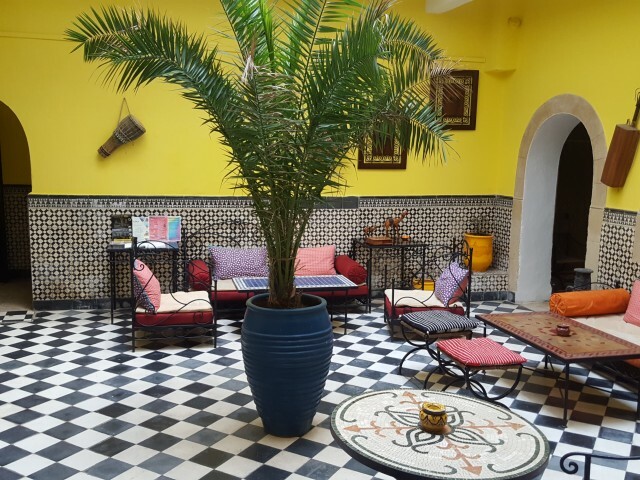 The Hotel Riad Sidi Magdoul in the Medina of Essaouira, near the beach and souks, very quiet, bright, comfortable, offers calm and breathing out of the pedestrian streets of Essaouira blue. 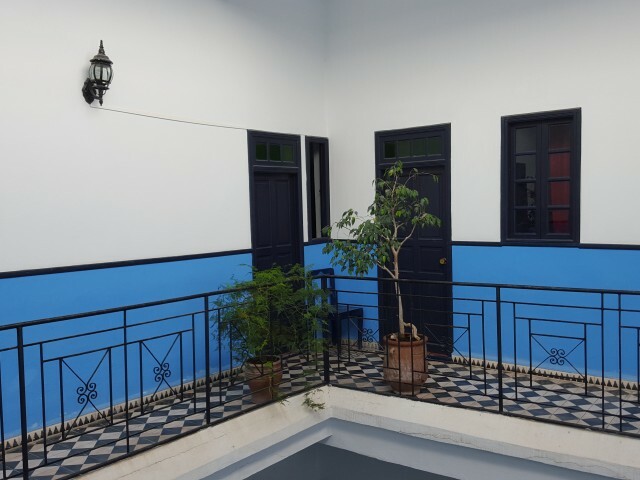 Ten rooms on three floors around a large and luminous courtyard open on the sky. 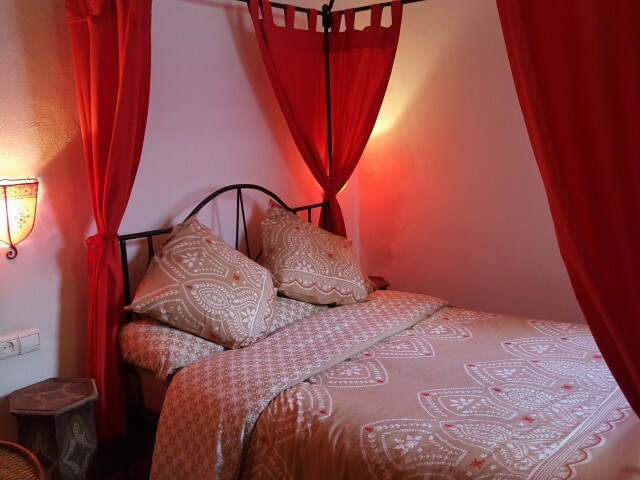 All rates include breakfast and taxes. 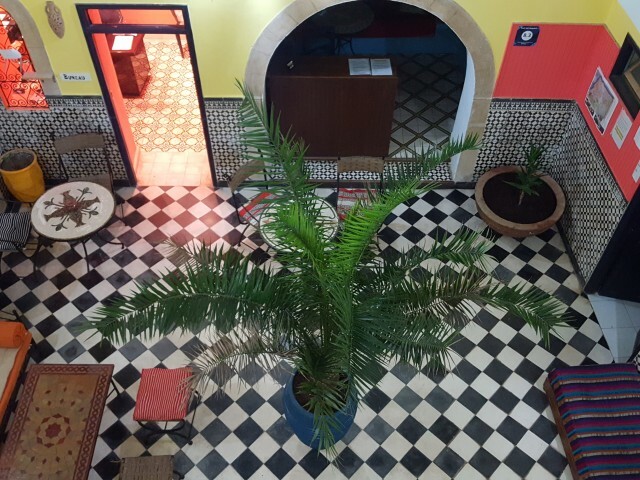 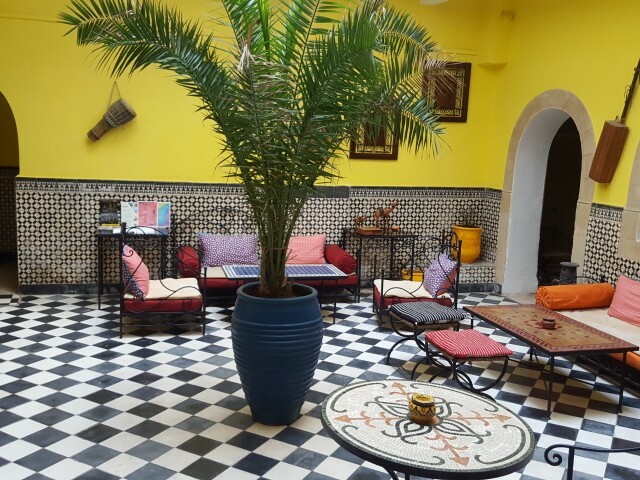 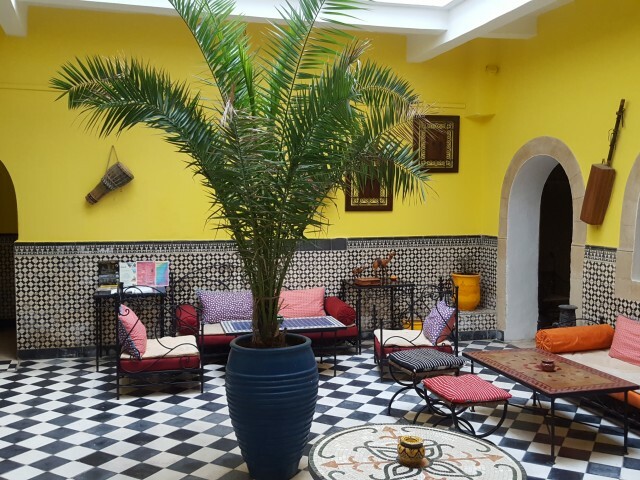 Riad Sidi Magdoul is one of the oldest foundouk of the city, when still called Mogador Essaouira. 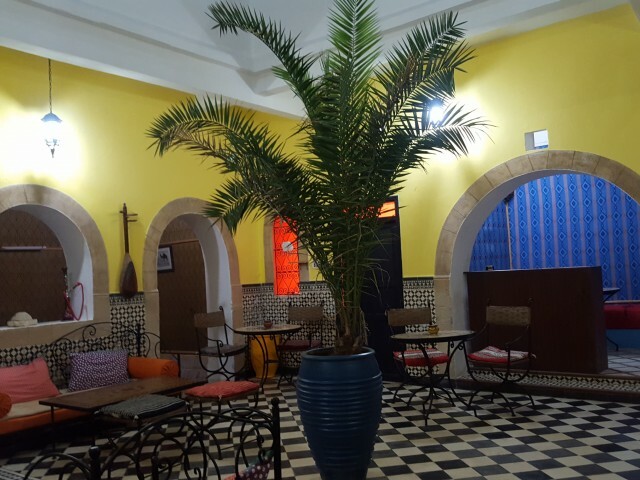 It takes its name from Saint (Sidi) local Magdoul first name of the ancient site. 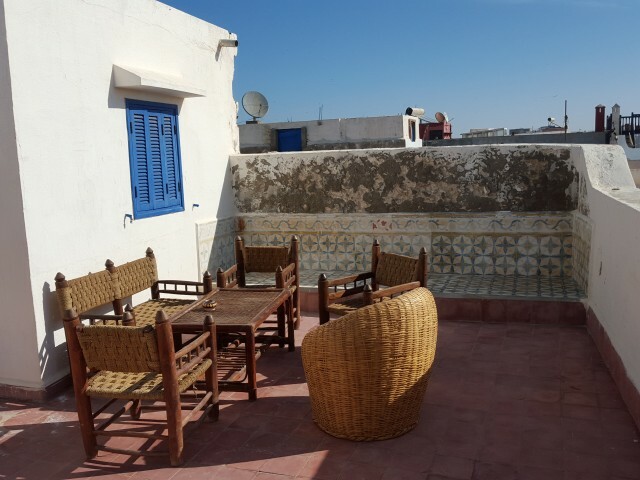 Riad Sidi Magdoul is located just steps from the picturesque port (municipal parking attendant) and the huge beach. 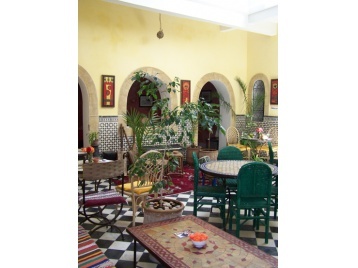 In the heart of artistic and artisan neighborhoods of the medina, souks, restaurants, galleries, cafes. 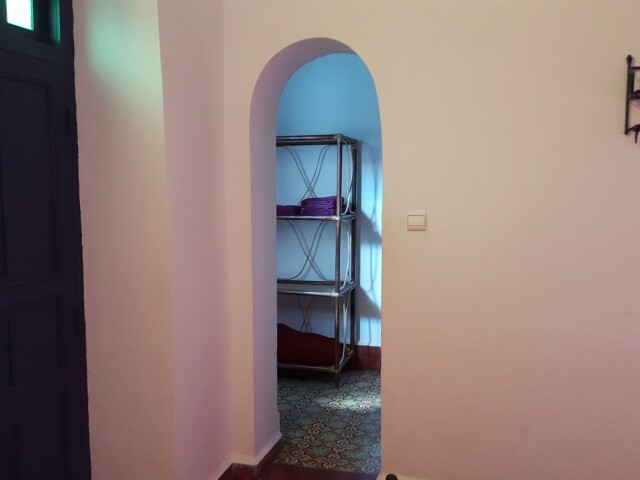 On the first floor of l' hotel twin room with space living room, filing space, individual bathroom. 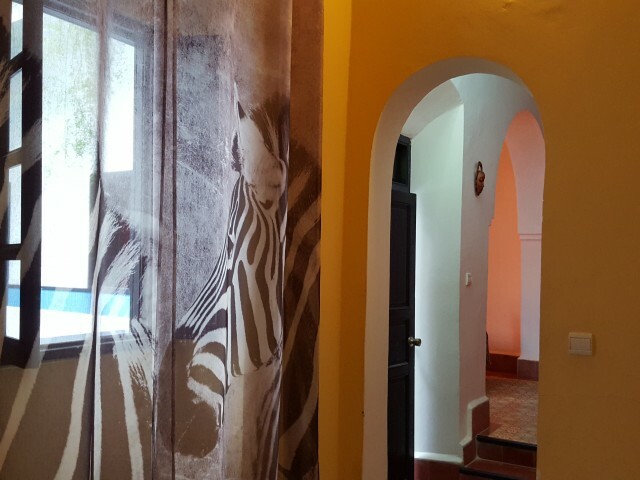 Two windows on the loggia.Very quiet.Breakfast included. 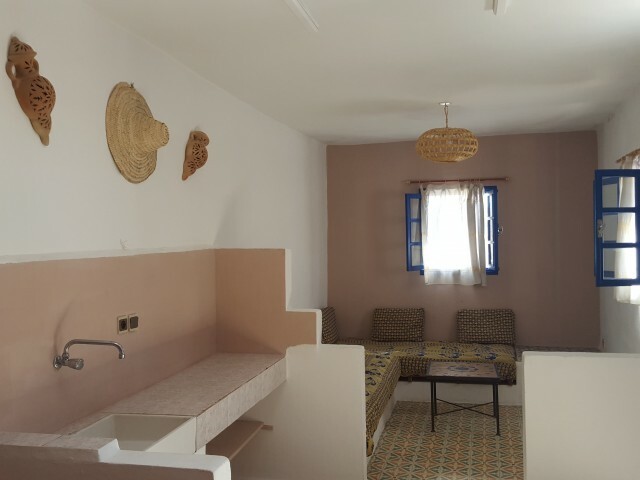 On the first floor of l' hotel matrimonial room with space living room, filing space, individual bathroom. 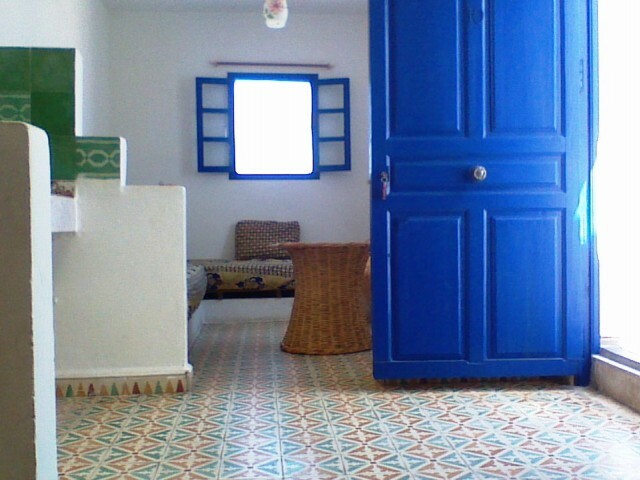 Window on the loggia.Very quiet.Breakfast included. 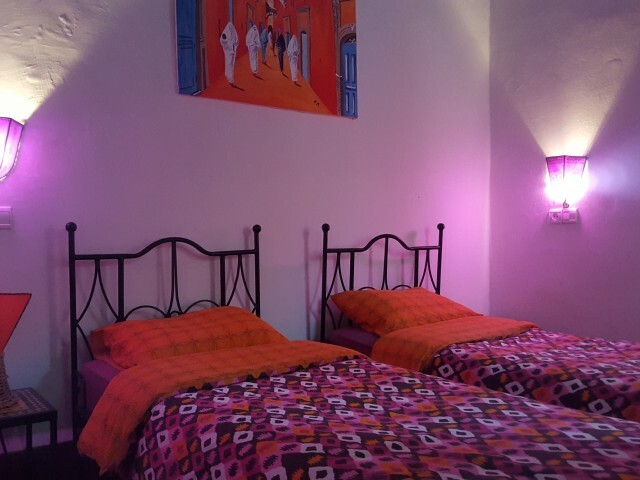 On the first floor of l' hotel matrimonial room with space living room, filing space, individual bathroom. 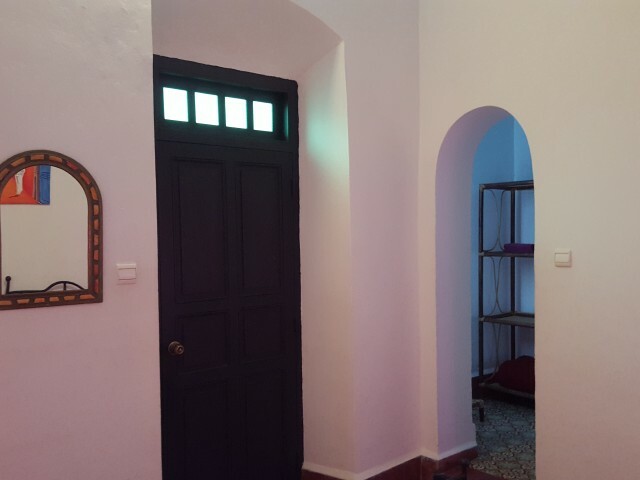 Window on the loggia and window in the bathroom.Very quiet.Breakfast included. 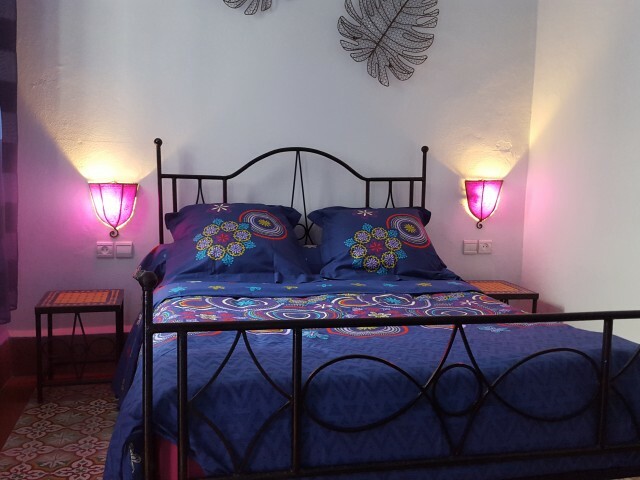 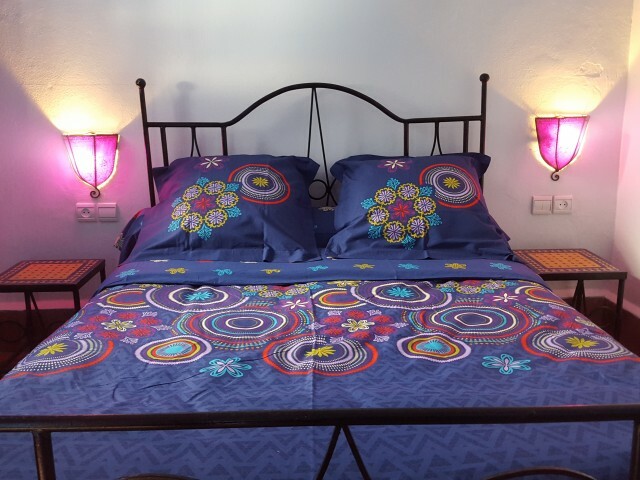 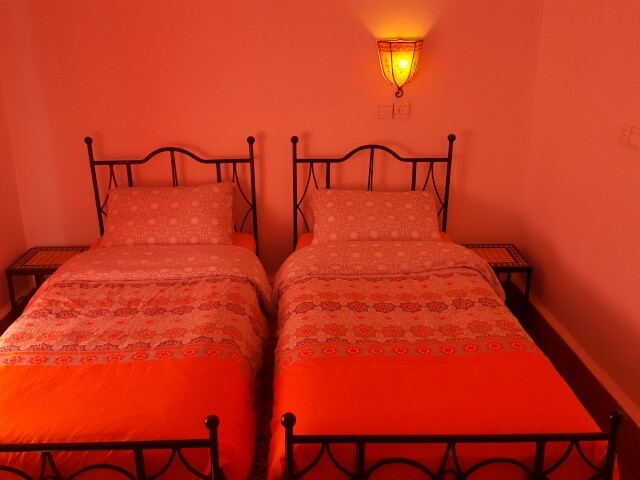 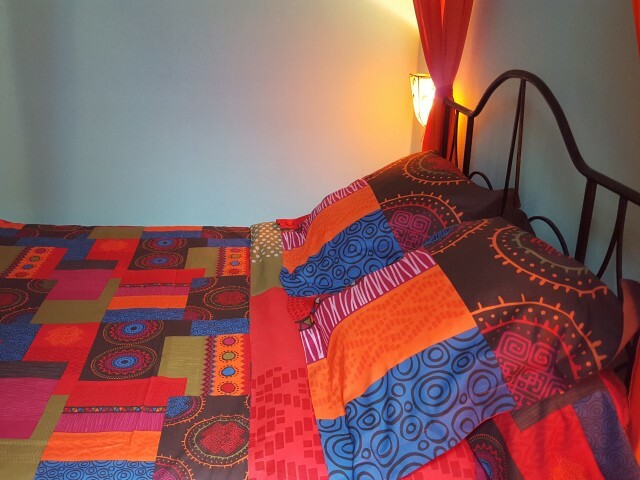 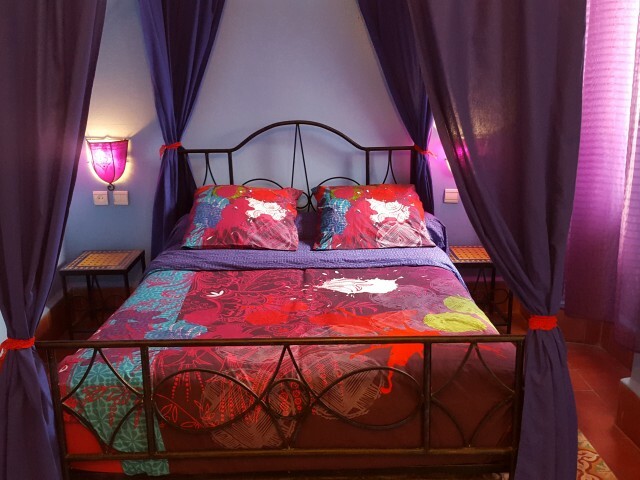 On the first floor of the hotel, large room, a double bed, two single seats adults or children, individual bathroom. 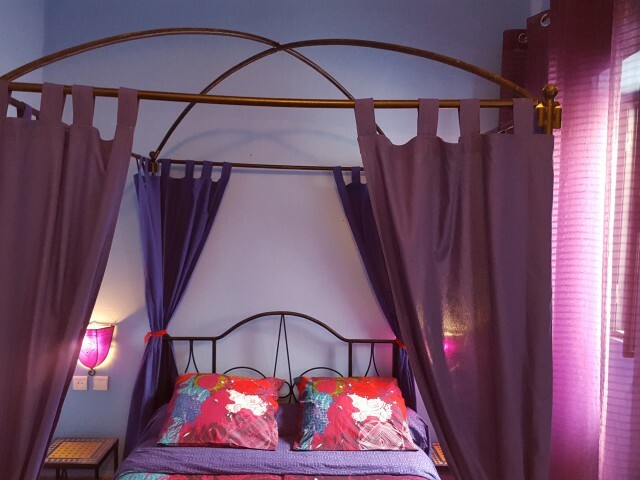 Three windows on the balcony.Ideal for families with one or two children and a baby.Rates include breakfast. 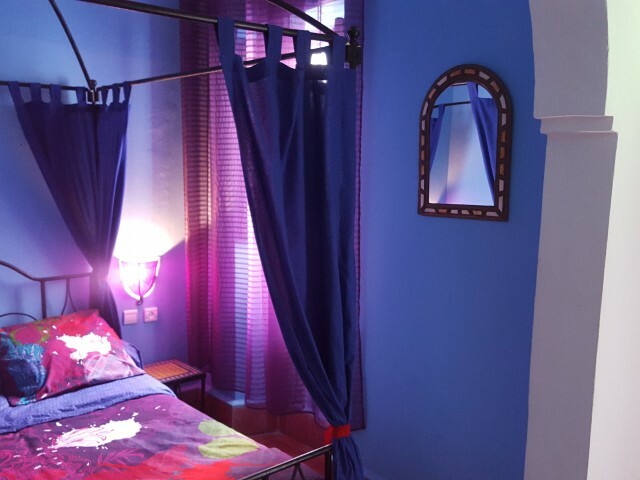 On the second floor of l' hotel matrimonial room with space living room, filing space, individual bathroom. 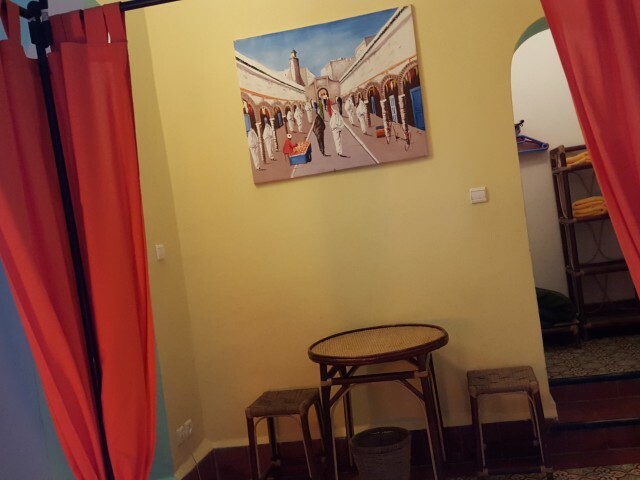 Two windows on the loggia.Very quiet.Breakfast included. 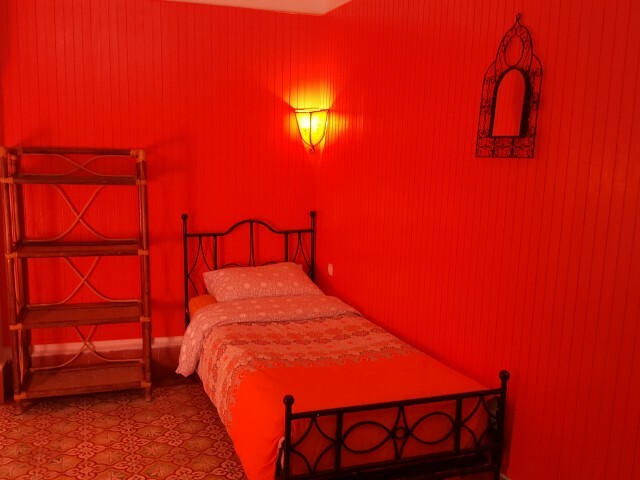 On the second floor of l' hotel matrimonial room with space living room, filing space, individual bathroom. 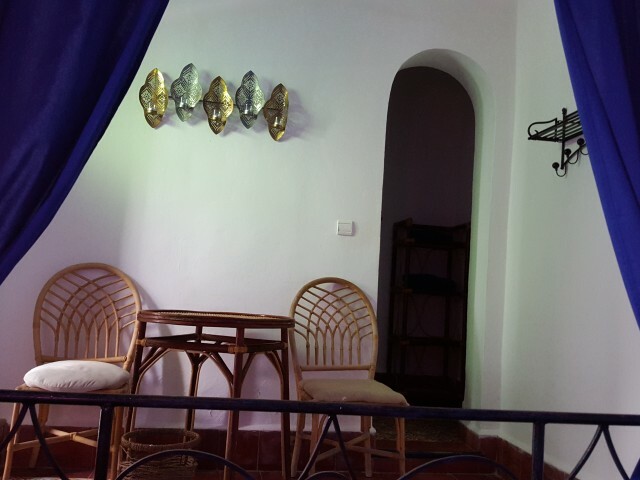 Fenestrate on the loggia.Very quiet.Breakfast included. 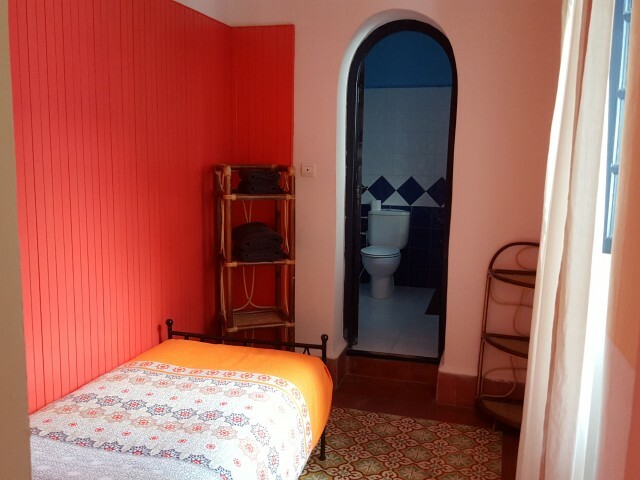 On the second floor of l' hotel matrimonial room with space living room, filing space, individual bathroom. 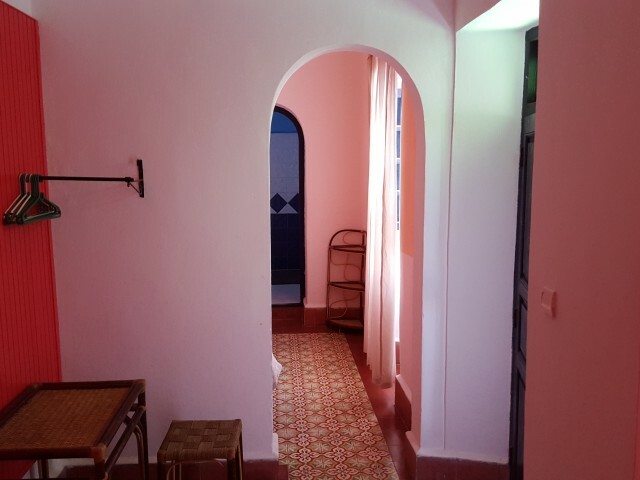 A window on the loggia and a window in the bathroom.Very quiet.Breakfast included. 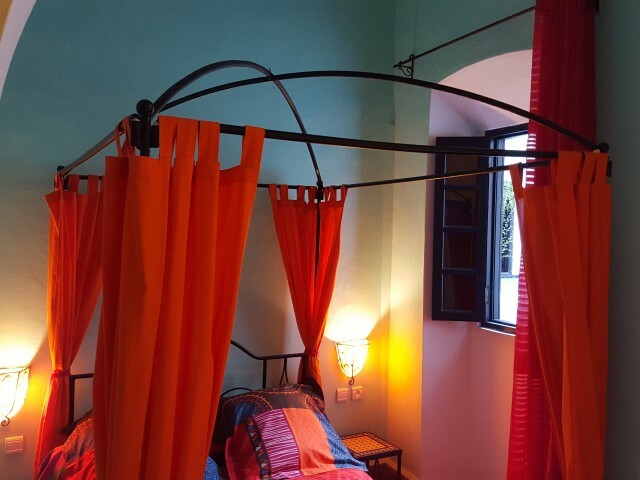 The second floor of the hotel suite with four single beds and bathroom. 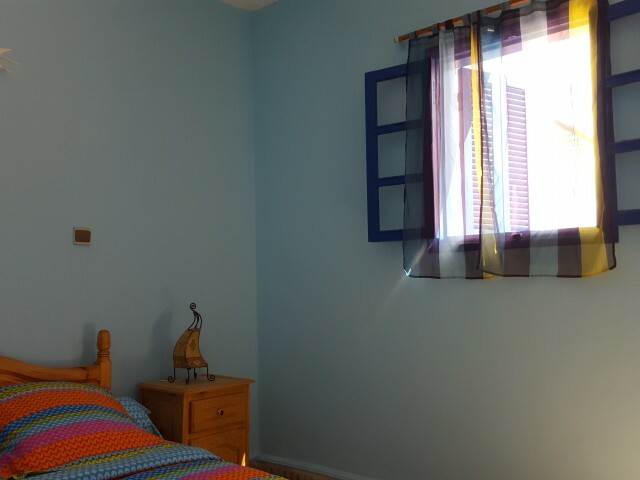 Three windows on the loggia.Ideal for a family with one or two children, a group of friends, a group of teenagers.Rate including breakfast. 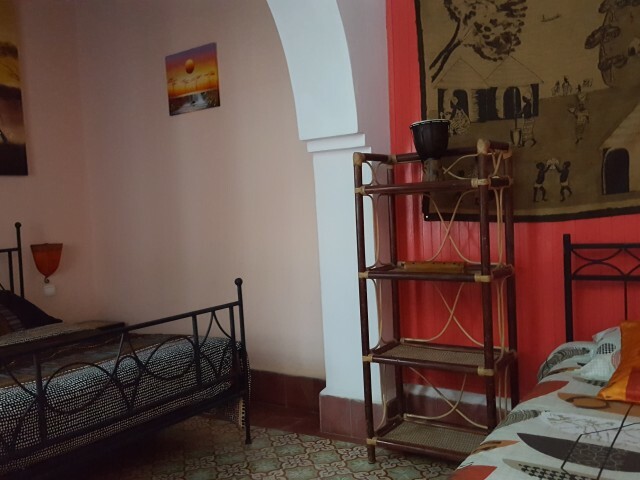 Double room on the terrace. 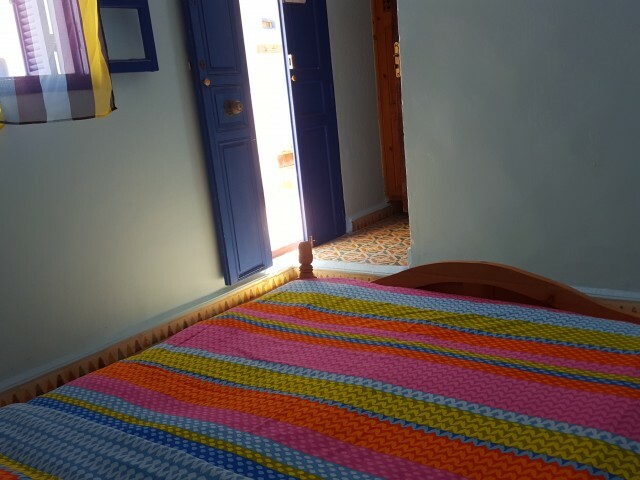 Very bright.Private bathroom.Sober decoration.Prices inclusive of VAT and breakfast included.Caution is high, the stairs are difficult! 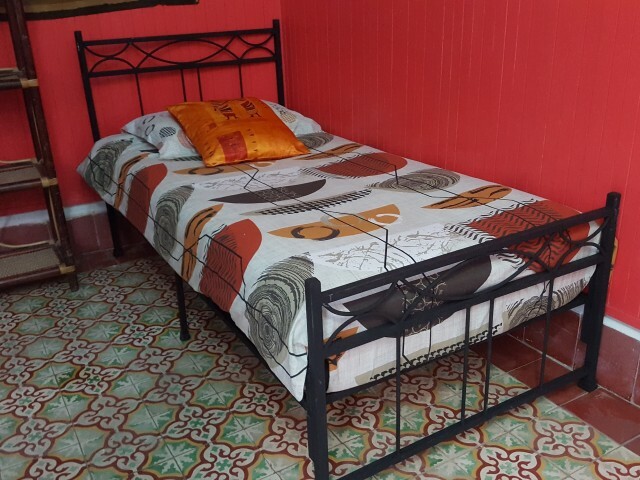 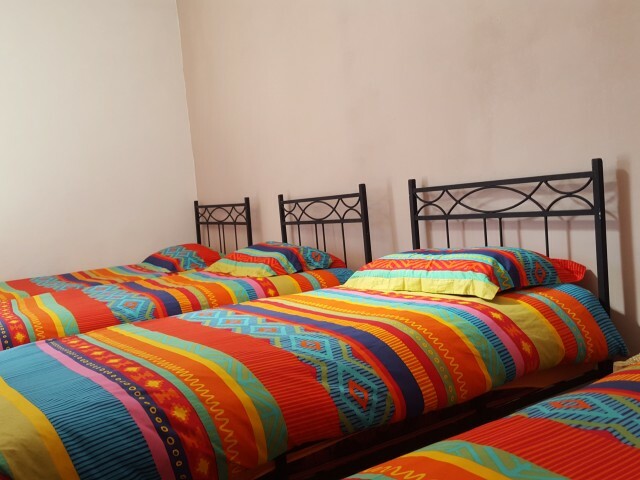 The terraced rooms are suitable for youth and sports people. 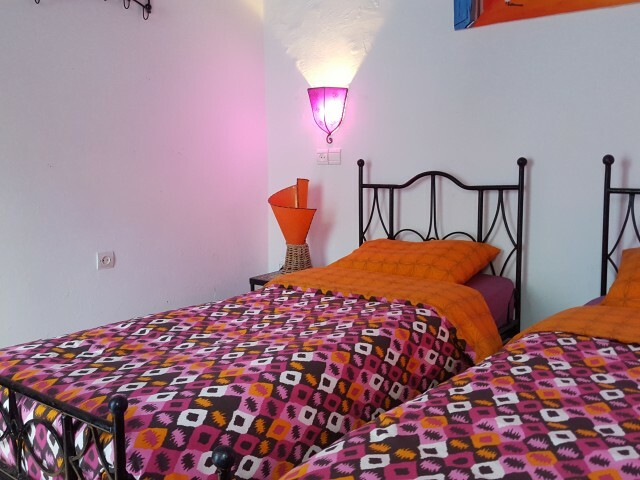 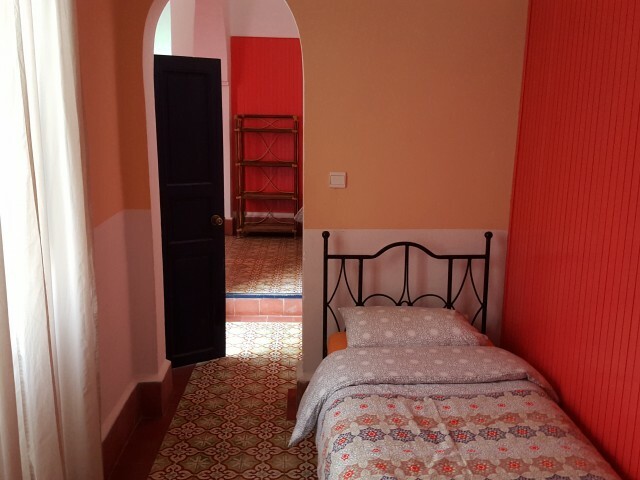 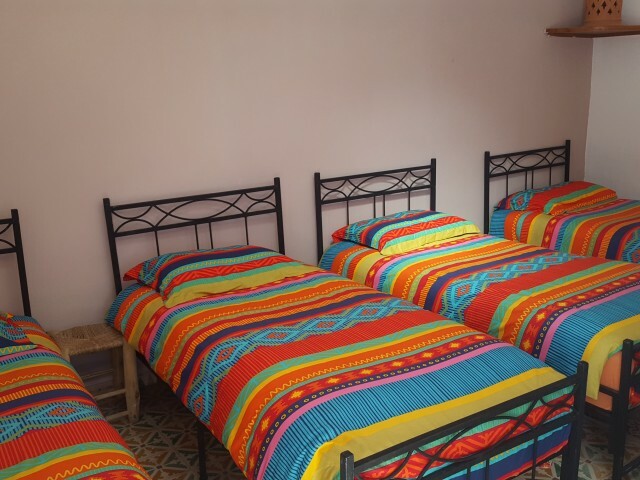 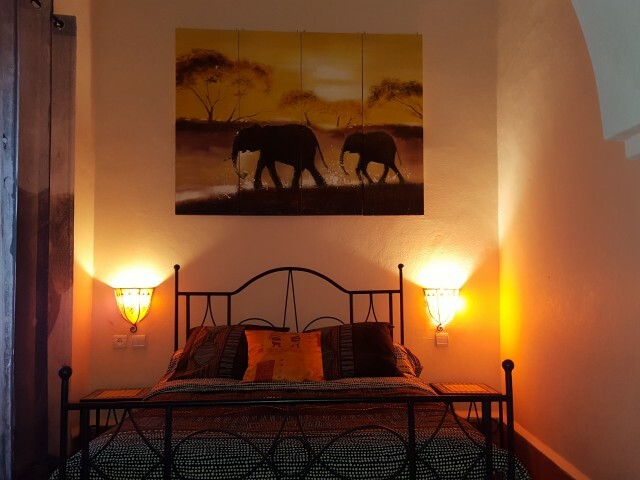 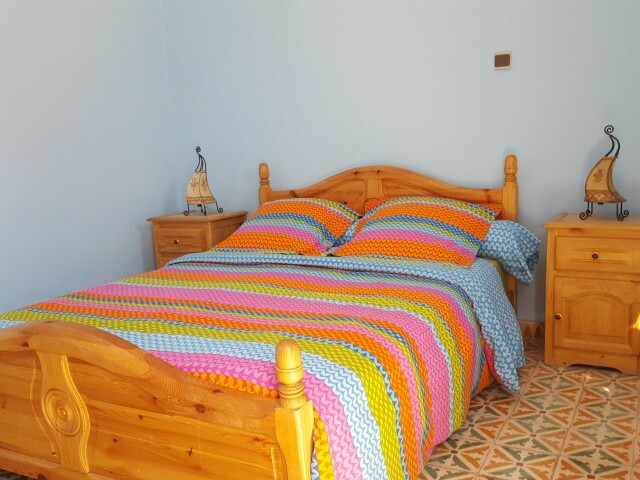 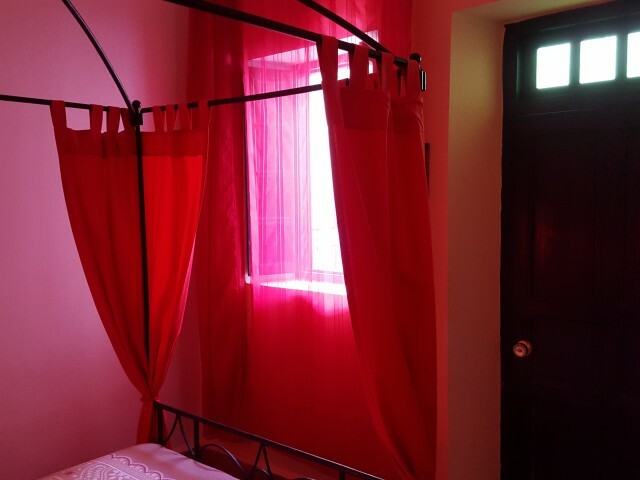 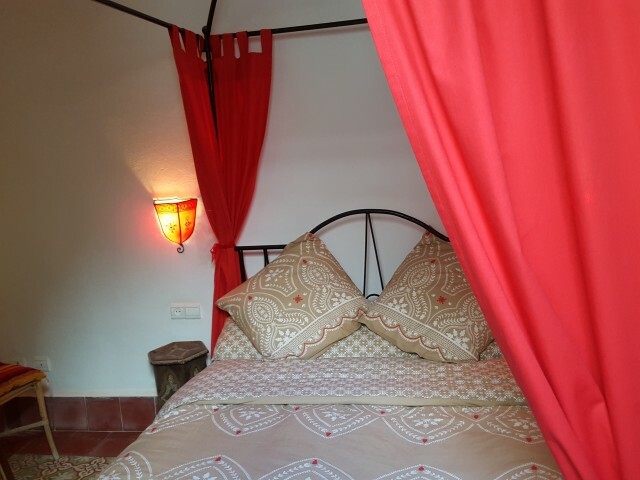 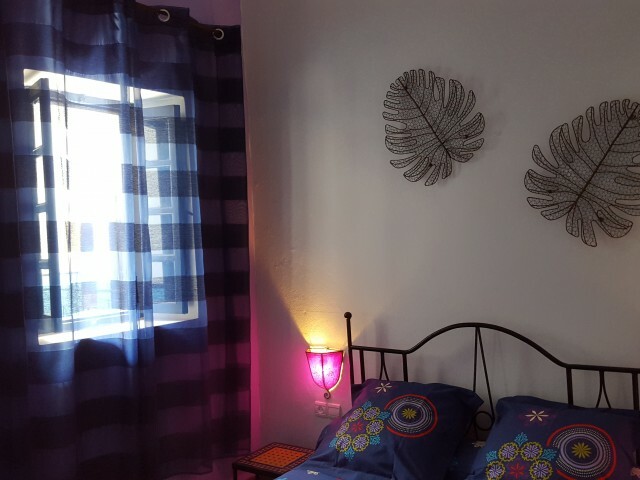 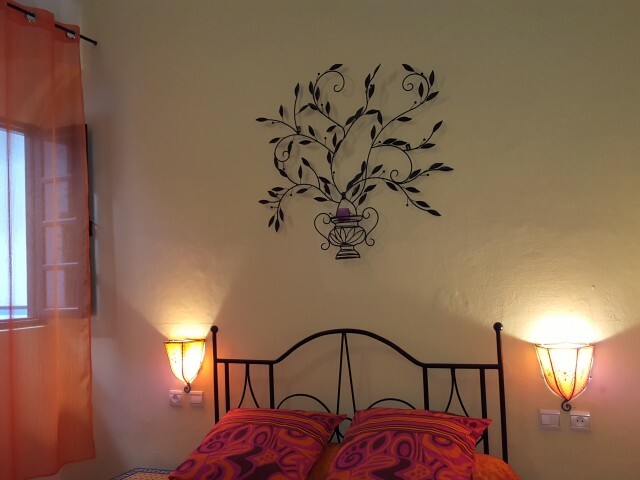 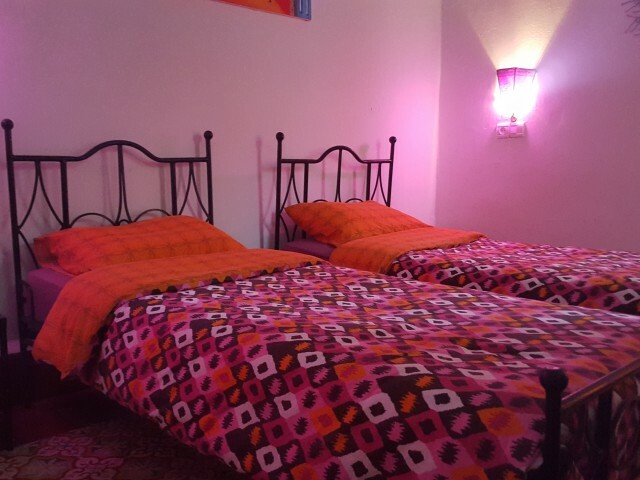 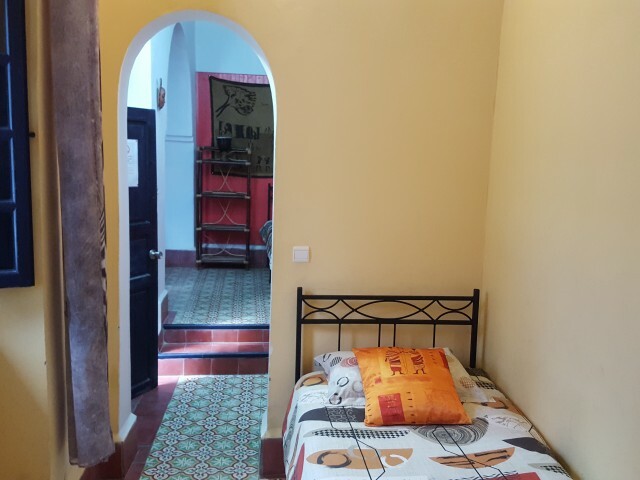 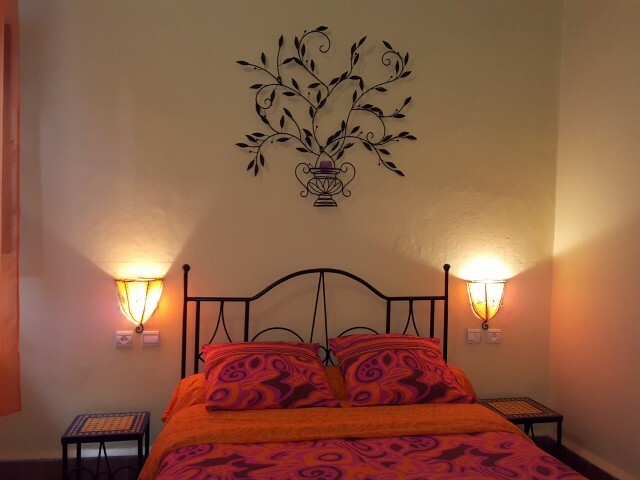 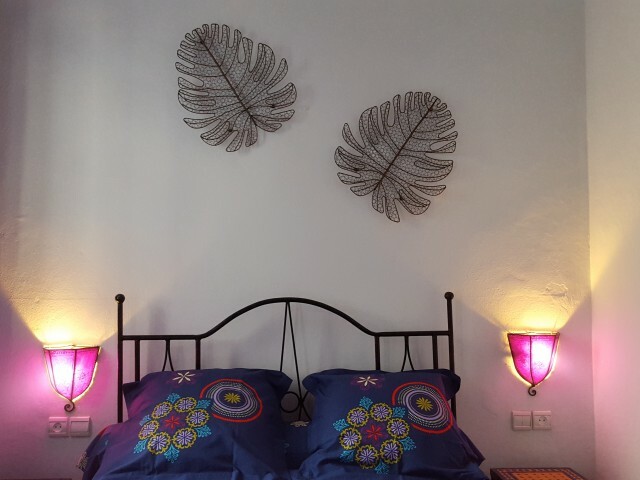 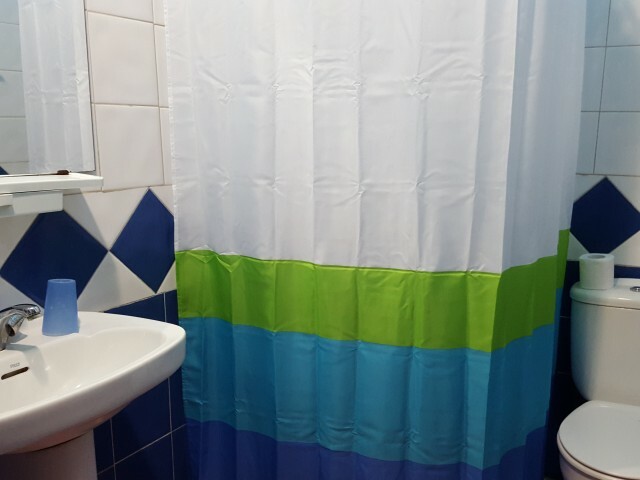 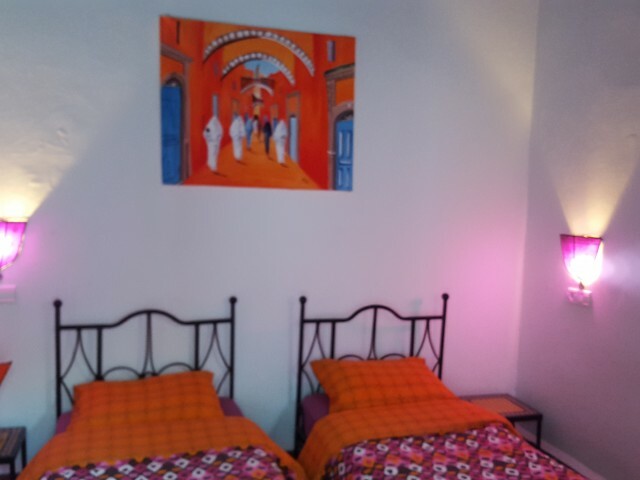 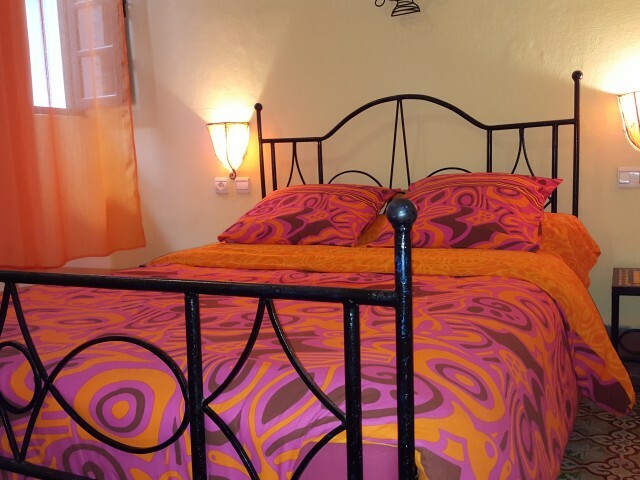 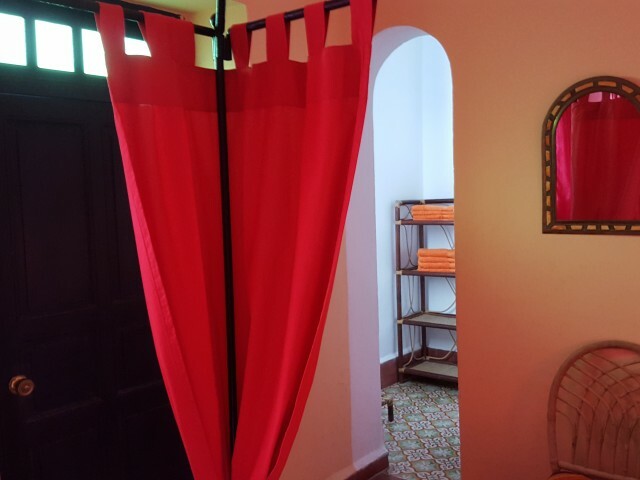 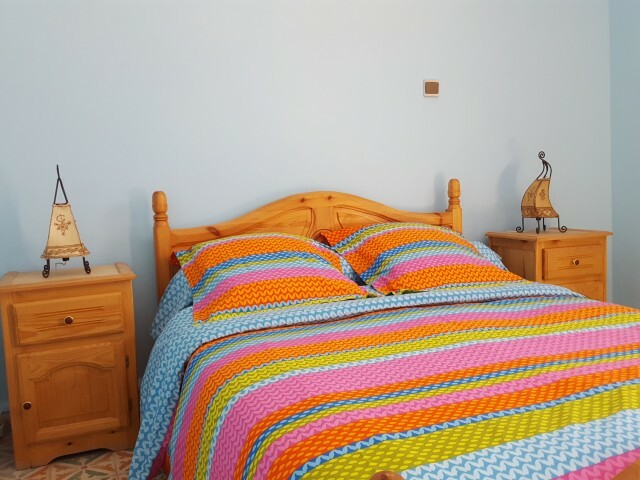 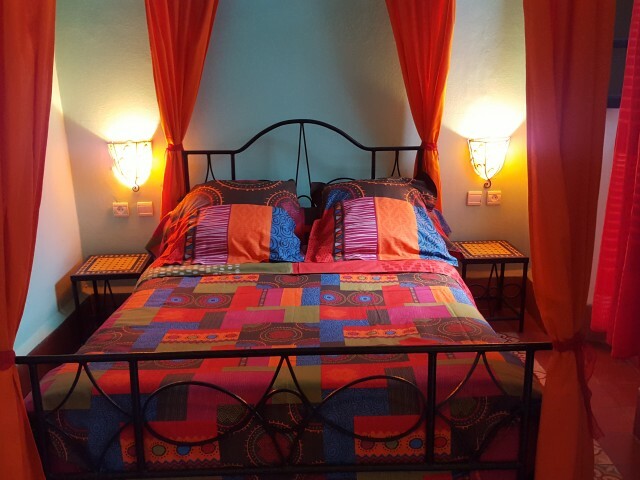 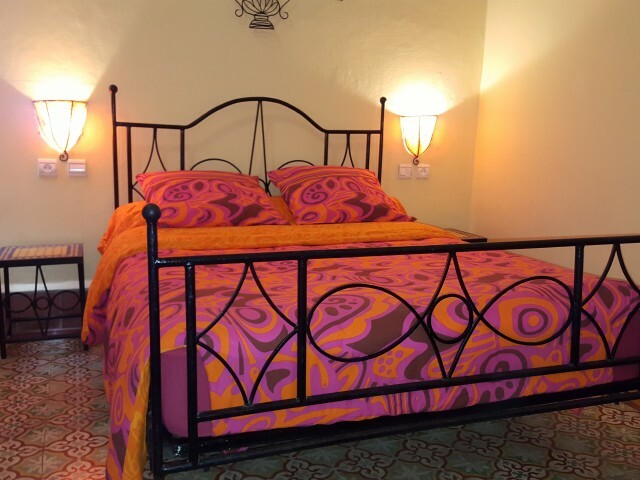 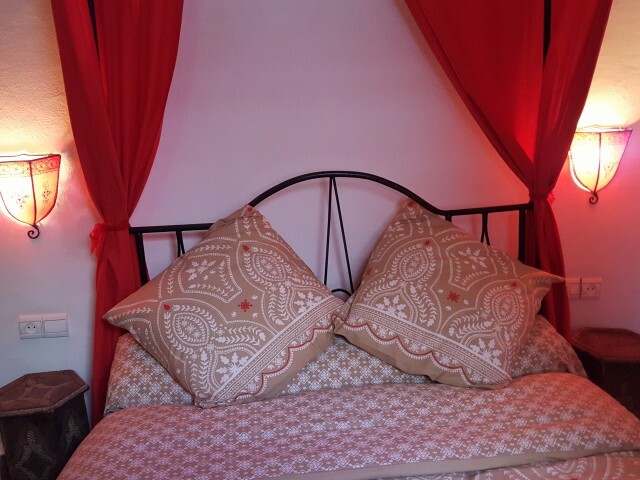 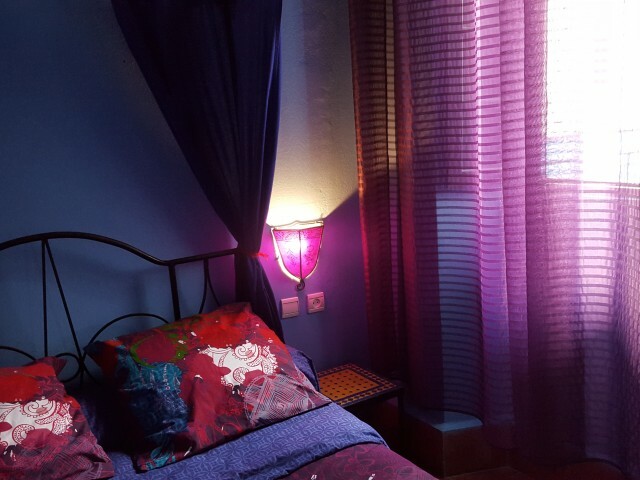 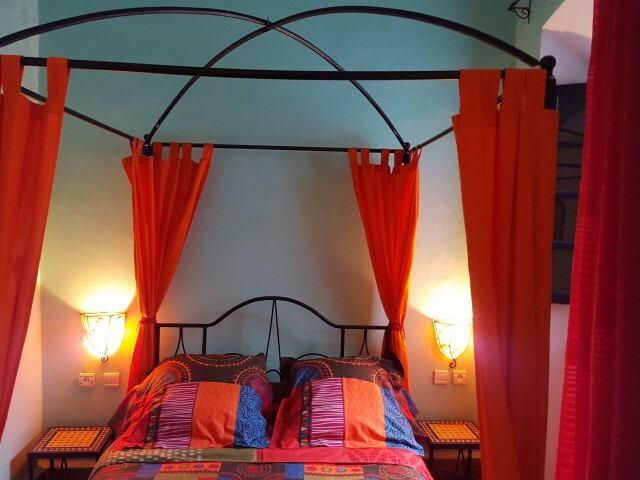 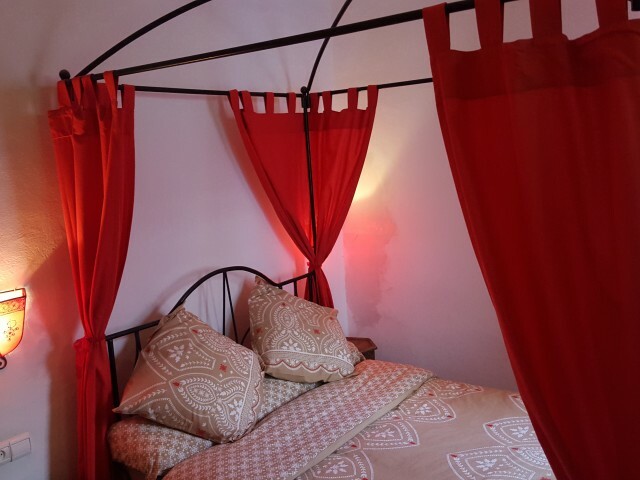 Large room in bright terrace.Capacity 4 people.Very sunny location with views over the hills and the roofs of the medina .Shower and toilet outside the room.Rates including breakfast and VAT.Caution is high, the stairs are difficult! 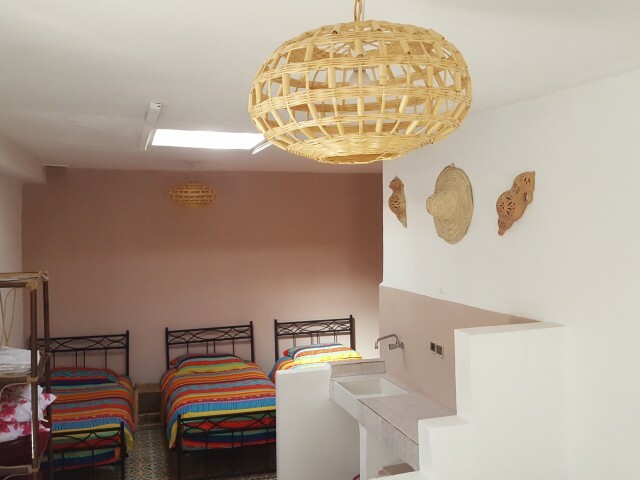 The terraced rooms are suitable for youth and sports people. 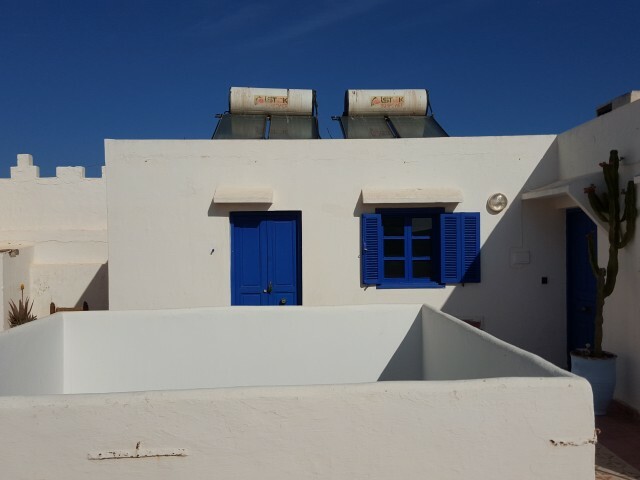 Ten comfortable rooms around a vast well of days open to the sky. 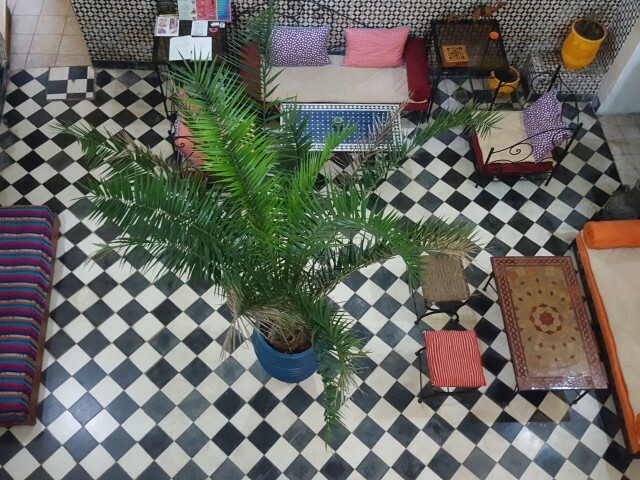 Central location in the medina of Essaouira.